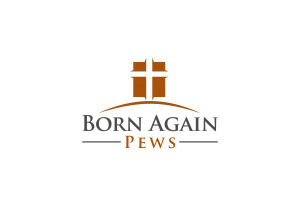 If you’ve been investigating Born Again Pews a little bit to find out if we’re a company you want to work with, you might have noticed there are a number of photos of our crew members hard at work installing and building church pews. This photo, for instance, is of one of our team members finishing up construction on a privacy screen for a church in Oklahoma. All of our church pews are made by human hands, working to cut and put together pieces of solid wood for our church pews. Can you say the same of other church furniture you’re considering? Not all church pews are created equal, although marketing efforts from church furniture companies will try to convince you of that point. There’s a big difference between hand made quality and machined quality. We put a high amount of attention into the details of each church pew to make sure they’re perfect in every way every time. Machines can’t do that kind of hand-checking. When you’re looking at new church pews, you should do one thing—ask about how they’re made. If you find out about the processes that the church furniture company uses to build their church pews, you’ll learn a lot about them. Of course, not every church furniture company is going to volunteer up secrets on how they make their pews better than everyone else. But if you ask us, we’ll walk you through the basics of how we build our church pews. You’ll notice that there’s a person involved in every step to make sure that your church furniture is high quality. If you’re considering purchasing new church furniture for your congregation, give us a call or get a free quote. Our church pews are made with better quality than the rest and it shows. And the affordable price is pretty surprising when you add in all those benefits.